Limited time offer, see incentive detail for expiration. Sale price does not include any dealer-installed accessories. Pricing includes all manufacturer incentives and offers. Certain restrictions may apply from manufacturer to receive full incentive package listed, see dealer for details. Tax, tag and title not included and must be paid by purchaser. Listed pricing does not include dealer adds. While great effort is made to ensure the accuracy of the information on this site, errors do occur so please verify information with the dealership directly. You may reach a customer service representative during business hours by calling (479) 715-4476 or by visiting us at the dealership. 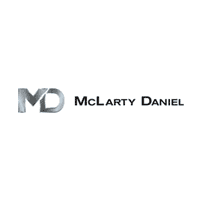 McLarty Daniel Chrysler Dodge Jeep RAM FIAT of Springdale’s team of highly qualified salespeople and technicians are focused on providing exceptional service in a timely manner. Whether we’re helping you find the perfect vehicle or replacing your brakes, we always maintain the highest standards for delivering the best service possible, every time! McLarty Daniel Chrysler Dodge Jeep RAM FIAT of Springdale	36.1514441, -94.1427849.